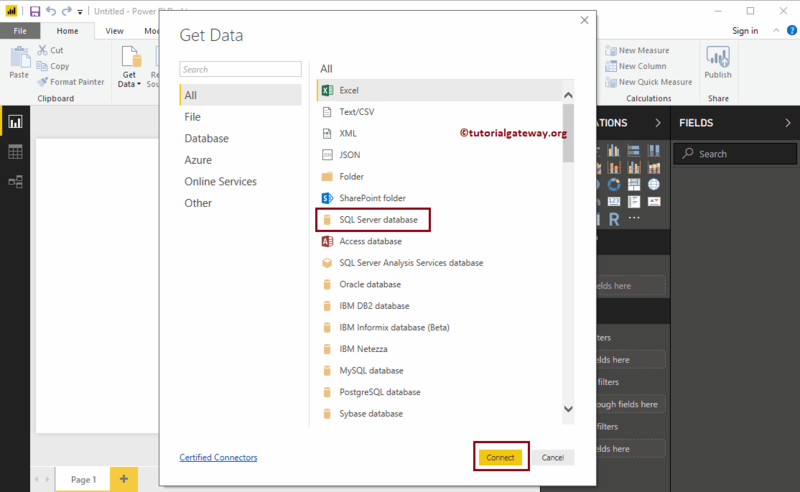 In this article, we will show you, step by step approach to connect Power BI to SQL Server Database. 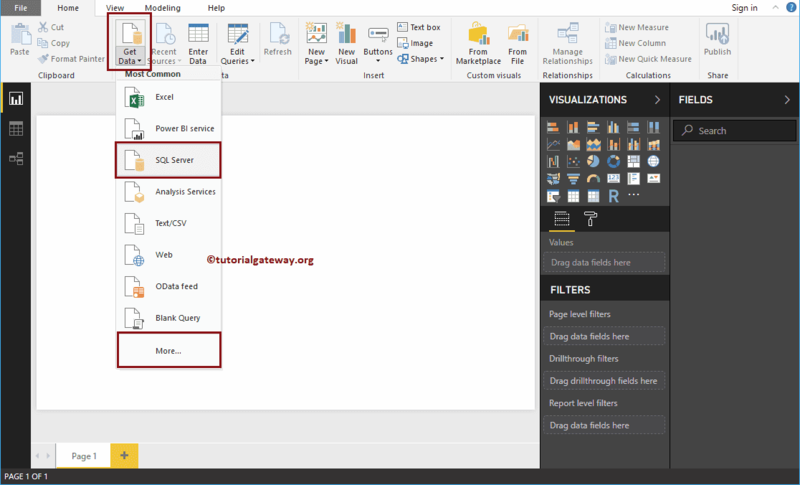 In addition to this, we will show you, how to use SQL Queries against the data present in SQL Tables with an example. Server: Please provide the SQL Server Instance name. 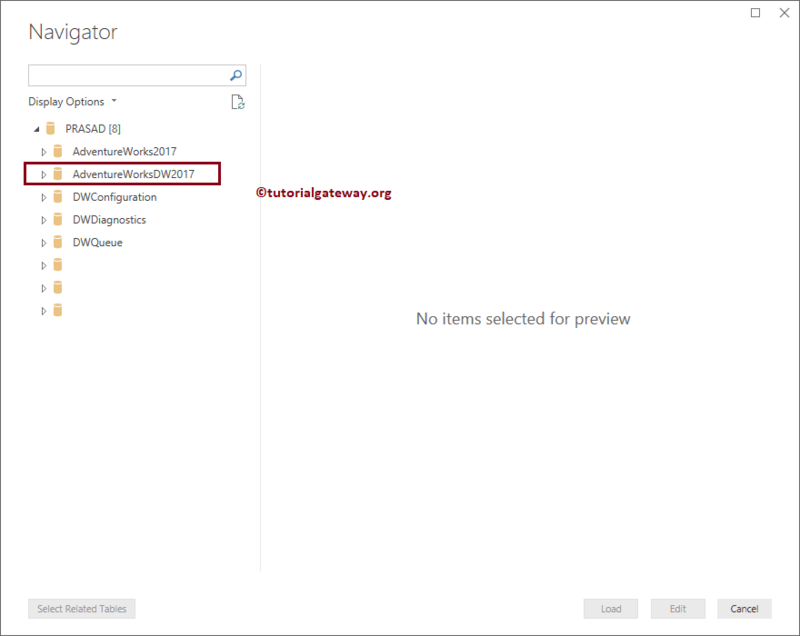 If you installed SQL with default instance, then the instance name will be the computer name, or localhost or . Database: This is optional. 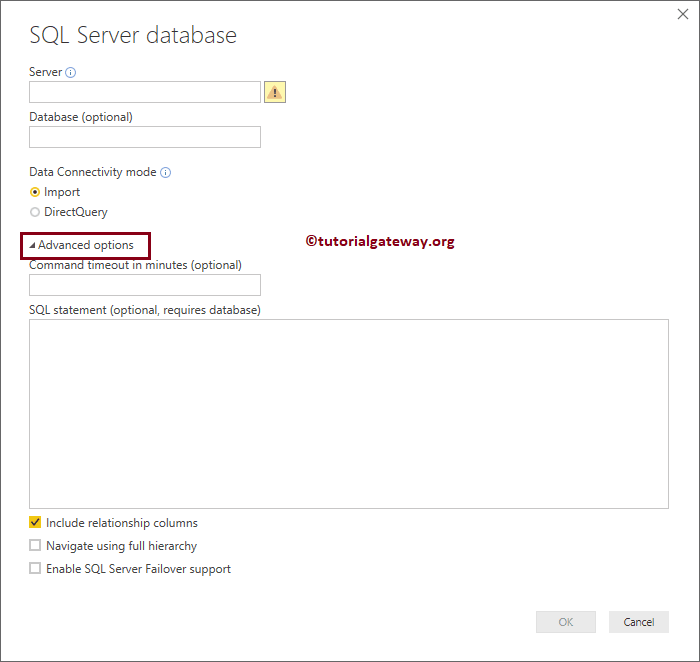 If you want to use a custom SQL query then it is required. Data Connectivity Mode: Please select whether you want to import or Direct query. Clicking the Advanced option will show you the advanced properties. If you want to use this data then click Load. For now, let me click the cancel button because I want to select multiple tables. For now, we are using the current local windows credentials. 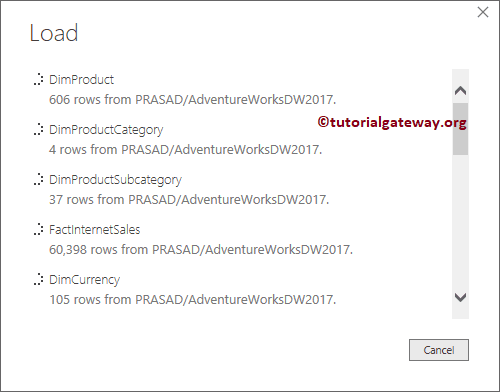 If you don’t have the permission to access SQL Server, then use other person windows credential by selecting Use alternative credentials. In real-time, we only use SQL Server Database credentials. For this, select database, and enter the username and password provided by the Admin person. 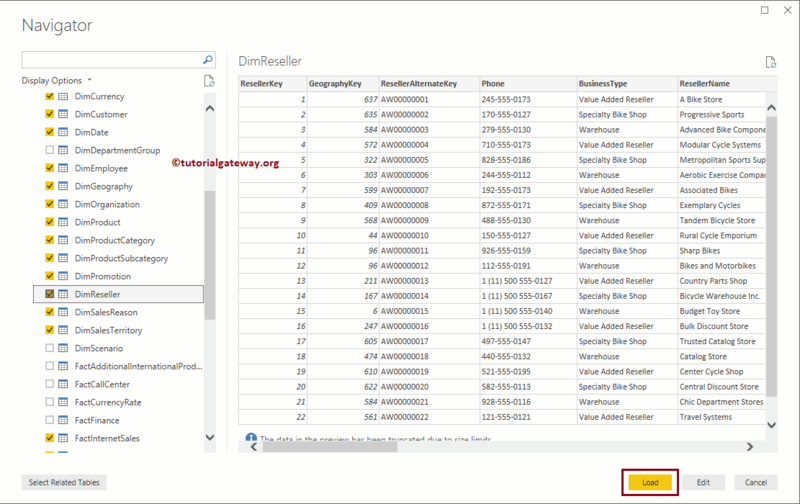 Under the Display options, it will list out the Databases that are available for that Instance. 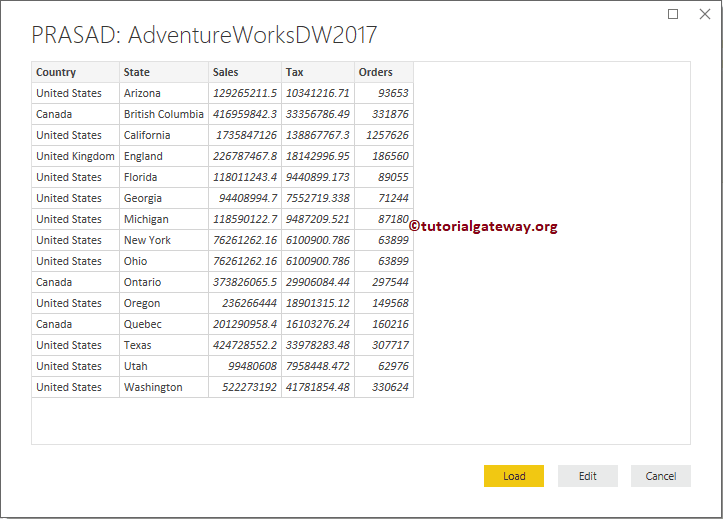 In this example, We are selecting the AdventureWorksDW2017 database. 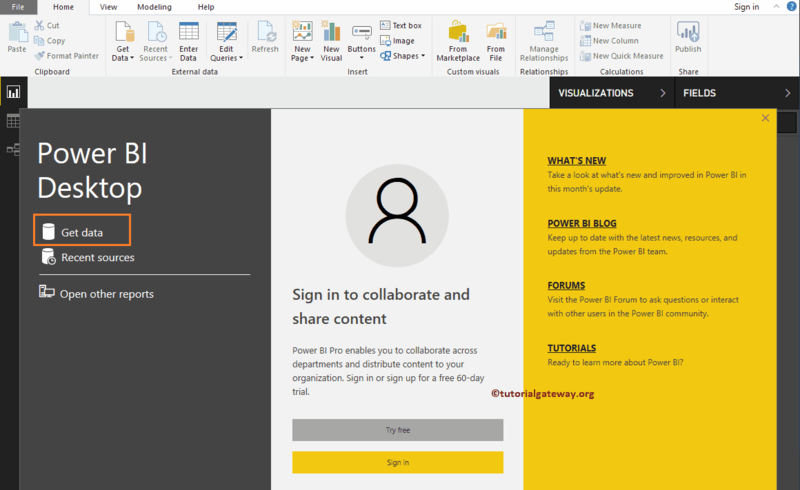 You can download this database from Microsoft official Download Center or GitHub for free. 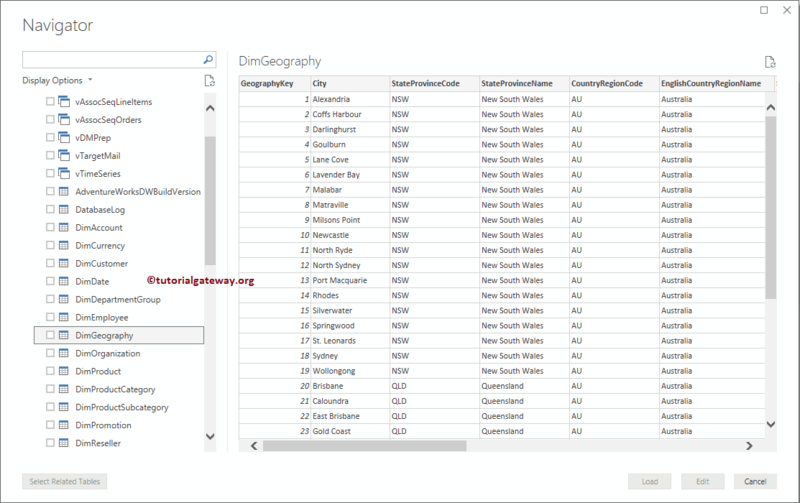 Expanding the Database folder will display the available Tables, and Views. 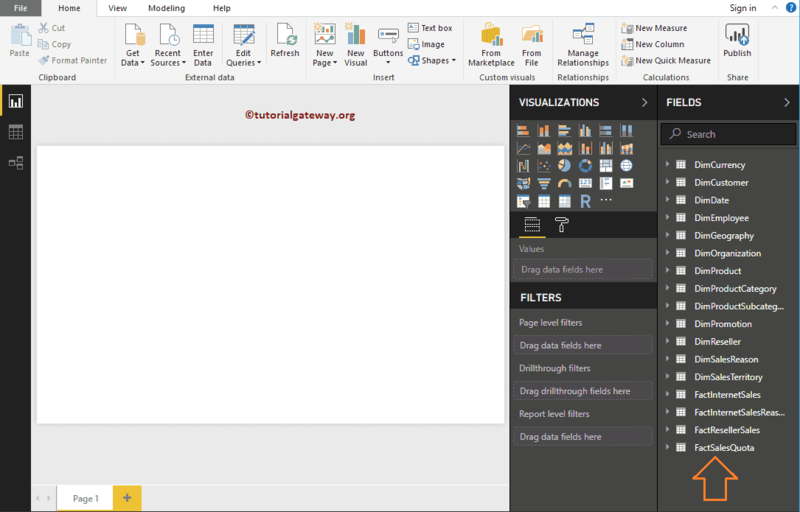 Selecting the table will show the Data Preview. From the below screenshot you can see that we are selecting the required tables. Remember, if you are confused to select tables, then select one Measure table (Orders, or Sales) and click Select Related Tables button. 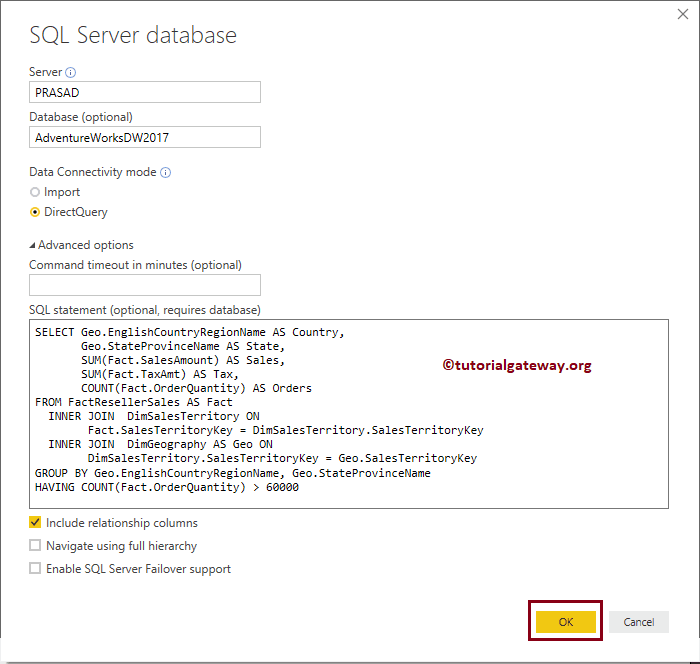 Now you can see the Tables that we selected from the SQL Server database under the Fields section. Expand any table to see the columns (fields) inside that table. 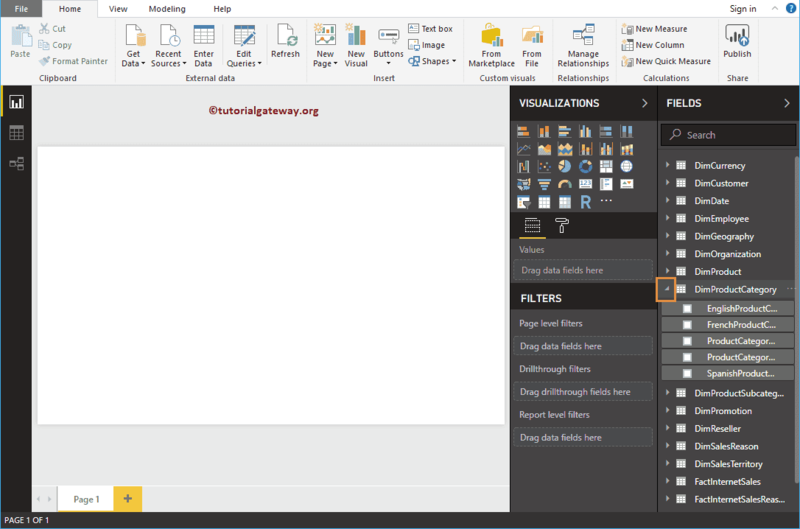 TIP: This is the Dataset that we are going to use in most of the Power BI tutorial.